Thousands of Britons suffer long-term pain and instability after spraining an ankle. There is a procedure that can help, as 24-year-old Imogen Cairns, from Portishead in Somerset, found. 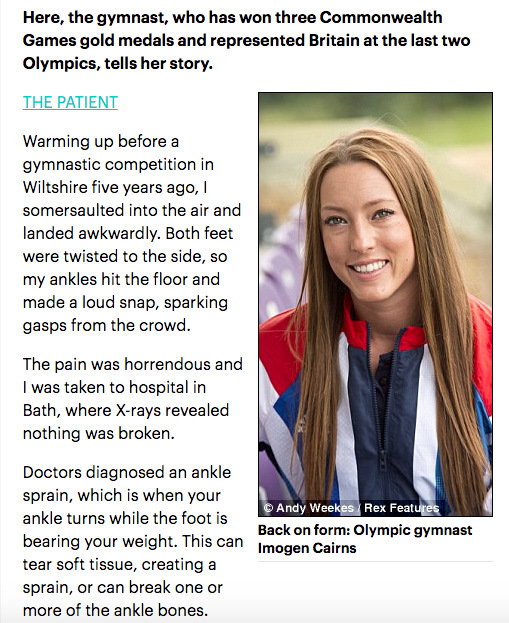 Here, the gymnast, who has won three Commonwealth Games gold medals and represented Britain at the last two Olympics, tells her story.